This holy festival is celebrated every year on the Purnima (full moon day) of Shravan month according to Hindu Calendar. According to the English calendar, this festival is usually celebrated in the month of August. 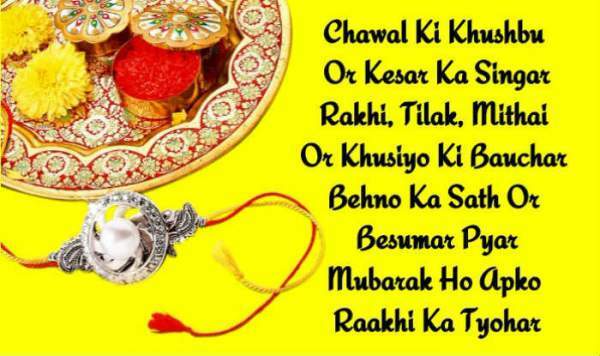 It is also called Rakhi or Rakhri in India. This holy festival is celebrated all over the country. Not only Hindu, Muslim, but Sikh and Buddhist also celebrate this auspicious festival. On this day, a sister ties a thread on the wrist of his brother which is a symbol of love, care, and affection. Sister offers sweet and prays for the well-being for his brother. In return, the brother promises to protect his sister throughout the life. The brother also gives a gift to his sister. This is how the festival is celebrated. 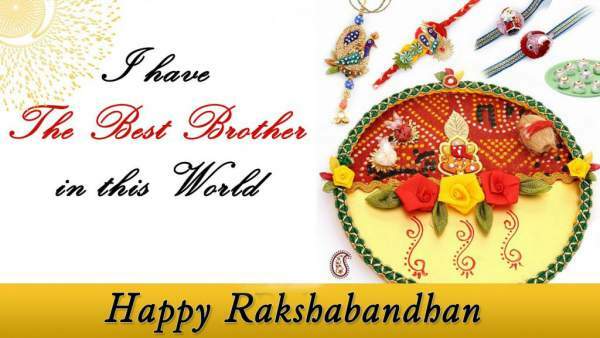 The term ‘RakshaBandhan’ means a thread of protection which sisters tie on the wrist of his brother. Only only blood-related siblings, but emotionally connected brother-sister also celebrate this festival. This is a day for all the brothers and sisters. Sisters go to market a week before to select Rakhi for her brother and brother chooses a perfect gift for his sister. This festival has an interesting history, in fact, interesting stories to tell. In fact, there are various mythological stories. The most famous story is related to Rani Karnavati of Chittorgarh and Mughal King Humayun. 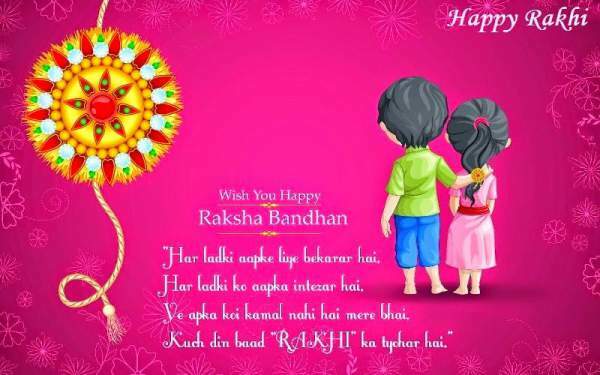 Check: When is Rakhi 2018? Once upon a time, Bahadur Shah once attacked Chittorgarh. There was no way out to save their life and Kingdom. They all need to be Sati to save their respect and dignity and not being exploited by the soldiers. Therefore, Rani Karnavati sent a Rakhi to Humayun and requested him to save his sister and her empire. Immediately after receiving the letter and Rakhi, Humayun went to save his sister. Although he could not save Karnavati he fought Bahadur Shah and saved his sister’s kingdom. And later on, he handed over the Kingdom to Karnavati’s son Vikramjeet Singh. There are other stories also. Like the story of Indra Dev, the story of King Bali and Goddess Laxmi, the story of Santoshi Maa, the story of Krishna and Draupadi and the story of Yama and Yamuna. 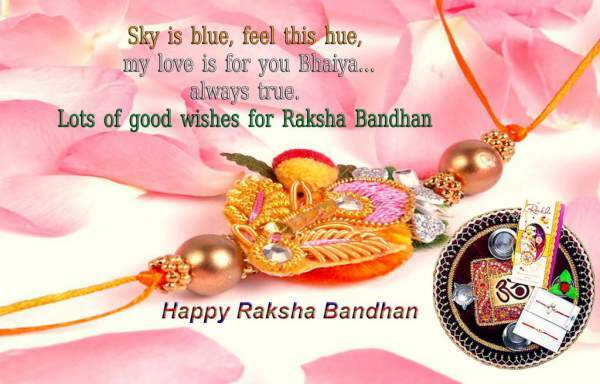 चलो भईया, इसे बाँधे राखी के अटूट बँधन में … Happy RakshaBandhan to my dearest brother!! here is a little boy inside the man who is my brother … Oh, how I hated that little boy. & how I love him too. May this auspicious occasion bring you all the prosperity and good luck in your way of life! 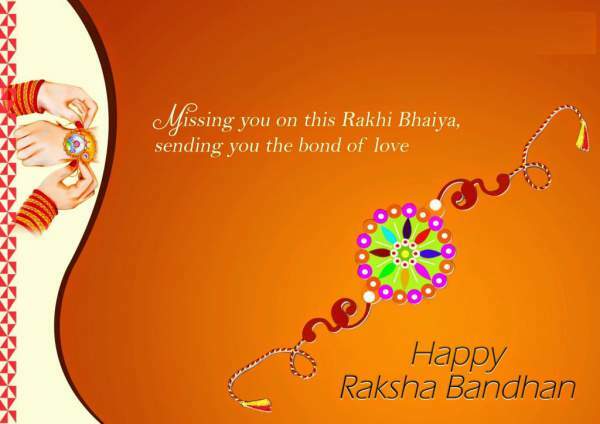 HAPPY RAKHI SISTER! !